At St.Emlyn’s we recognise that there are a lot of journals out there. Far too many to keep a track of and far too many for one human to read and collate (thereby providing evidence of Weingart and Reid possessing super powers as they are the only people who seem to manage). Anyway, I digress. The point is that if you want to keep abreast of the literature you need to be pretty savage about filtering what you are going to read. For me this means screening papers in roughly this fashion. Is the title interesting (to me)? Is it relevant to my practice? What is the aim of the paper? Can the method answer the aim? This process serves me well and means that I focus my time on papers that are going to make a difference to my practice. However, there are a few exceptions to my rules on filtering papers. One of these is when there is possibility that a paper might come back to bite me even if the methods are not up to scratch. 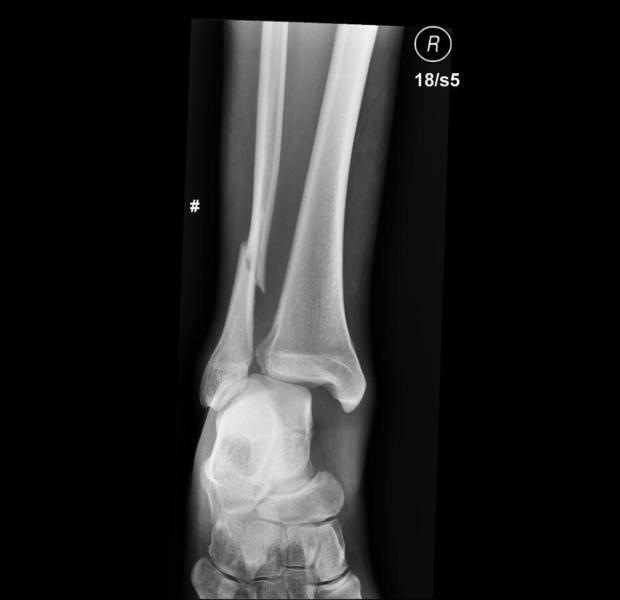 So this week I was running through the journals and came across an interesting pre-publication in Injury on the management of displaced ankle fractures. Time to apply the filter…..
What is the aim of the paper? – To look at whether ankle fractures should have a pre manipulation X-ray – YES – apparently we should X-ray displaced fractures before manipulation – WOW – REALLY? DOGMALYSIS ALERT!!!! Can the method answer the aim? Nope.. So we get to stage 4, and we will explain why below…, so why read on you ask? Well I did because I am a little concerned that this attempt at dogmalysis might be used to change practice. So let’s get right back to the paper. Just before we do though……let’s get a quick reminder of what we’re talking about (so long as there are skateboards this will be an issue). [DDET Is this a good study design?] There are significant issues here. The retrospective nature of the study will inevitably lead to bias. Let’s have a quick think about some of the more obvious ones…. Documentation issues are always an issue in retrospective studies. We get a hint of this in the paper as the reason for manipuation in 25 of the 31 pre-Xray patients was not documented. It is highly likely that the patients who received manipulation pre Xray would be different from those who were manipulated post X-ray. An ankle pointing backwards is a arguably much more likely to be manipulated urgently than one with a small degree of talar shift. In other words the greater the deformity the more likely ED docs would proceed to immediate reduction. There are no descriptors in the paper as to whether the type of injury seen in the manipulated and non manipulated group is different. This is such a key issues I am amazed that it is not available. As we know almost nothing about the patients in each group we can make no meaningful conclusions about whether pre or post X-ray manipulation is an independent risk factor to the need for remanipulation. [DDET …but they have results and statistically significant findings…..!!] Don’t be fooled folks. No statistical analysis can save poor study design, but since they are there let’s take a closer look. They have also re-analysed the data by removing the manipulations performed by the ortho team. This makes little difference to the results as only 9 of the manipulations were performed by the ortho team. There are a few other concerns. For example there are 32 patients in the graph of patients having manipulations prior to X-ray, but only 31 in the analysis. This does not add up and an additional patient not requiring manipluation would move the p value to 0.47. I would also argue that in my experience the ortho team is less likely to remanipulate their own attempts vs. the attempts of others….. it’s a circular and poor measure. Remanipulation itself is an interesting outcome. It is important to patients, but it is not everything. From a patient perspective we should really have something clinically relevant and firmly patient centred. There are no functional outcome scores here and that means that I am unsure what this means for patients. There is simply little or no evidence here to help us. Well that’s interesting. The evidence presented here is poor. The research design is likely to be grossly biased and the findings themselves do not always add up and lack the the level of detail needed for reasonable critical appraisal. It is simply not justified to make the claim that practice should change on the basis of this evidence, but here at St.Emlyn’s we do like challenges to our practice. We can find some common ground with the authors. Patients with clear neurovascular or skin compromise should be urgently manipulated. Patients with clear skin compromise should be manipulated. To answer my original question then yes, in the opinion of the St.Emlyn’s team we should manipulate an ankle dislocation before X-ray when we believe it to be clinically indicated. If anyone quotes this paper to me as a reason to change then I will ‘learn them’. This paper changes nothing and confirms once again that’s it’s essential to critically appraise papers carefully. We simply cannot rely on abstracts to give us the full picture, and this paper has made me a bit cross (though probably because our field hockey team lost 6-0 today). Manipulation prexray should have clear cut indications. Over the last 20+ yrs in ER I have seen juniors struggle to pull a sub-talar dislocation to no avail.I have also focussed in being able to get a quick portable X-ray within a couple of mins (max) of pt arriving. Seems to help and make care more efficient.